When you mention Gettysburg, the talk invariably focuses on the town’s role as the turning point of the Civil War, when Union forces spent three bloody days turning back Confederates pushing their way North. As one of the most crucial battles of the war, the fight itself often takes center stage, but there are other players in the story of Gettysburg that should have their own moment in the spotlight. People of color who created a thriving community comprised of those who escaped slavery and those born free. The women who raised families, tended farms and ran businesses while many of the men went to war. Civilians who thought that the carnage of the war would stay in the South, and not land on their doorsteps. And those stories took place both on the battlefield and beyond it. One of those players was Margaret “Mag” Palm. The image is of Mag Palm, a resident of Gettysburg, who fought off two men who attempted to kidnap her and sell her into slavery in South. The attack took place three years before the start of the Civil War. 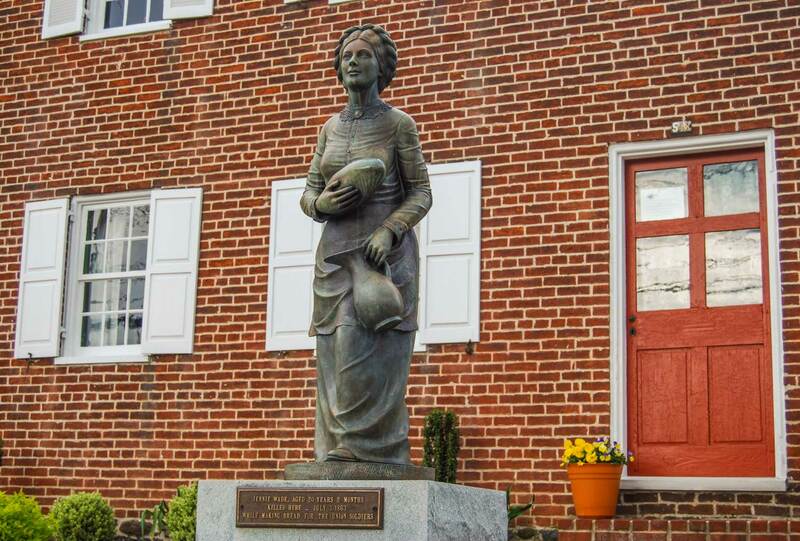 As a free black woman living close to the Mason-Dixon line — Maryland is less than 10 miles from Gettysburg — Palm and other members of the community worked and raised families, all while living with the threat that they could be abducted by slavers crossing the border. Palm worked for white families to make a living and rented a house from a successful black farmer, Abraham Brian, according to “The Colors of Courage: Gettysburg’s Forgotten History,” by Margaret S. Creighton. Three years before the war began, Palm was doing laundry for a white family. It was dark when she started home. On the way, two men attacked her, tied her hands, and tried to force her into a carriage. 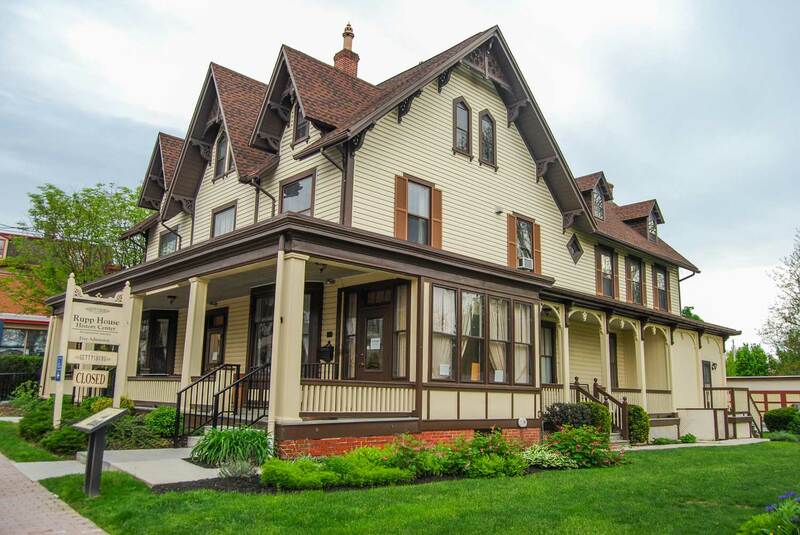 At the 1860 census, there were nearly 190 black men, women and children in the borough and another 69 in what was then called Cumberland Township, just south of town, according to Betty Dorsey Myers, a local historian and member of the Adams County Historical Society. Mrs. Myers has spent years meticulously combing through census records and other public documents to trace the stories of Gettysburg’s black community. 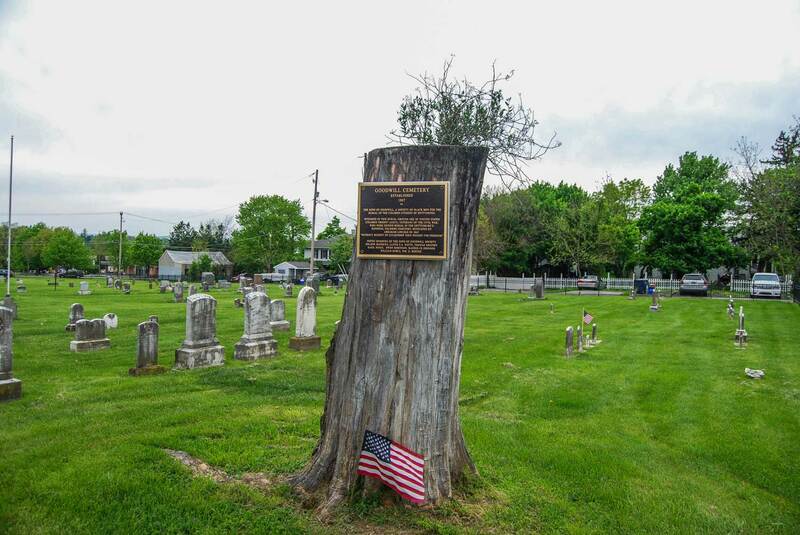 She also oversees the Lincoln Cemetery, also called the Goodwill Cemetery, which was established in 1867 “for the burial of the colored citizens of Gettysburg,” so states a plaque on a locust tree in a corner of the graveyard. The small cemetery doesn’t show up on Google Maps — GPS will redirect you to the more famous National Cemetery on the hill where Abraham Lincoln delivered the Gettysburg Address. From Pittsburgh: About a 3½-hour drive. Hours/Admission: The park is open daily from 6 a.m. to 10 p.m. April 1-Oct. 31; 6 a.m. to 7 p.m. Nov. 1-March 31. Admission is free.Buildings and attractions and other tours in town follow their own hours and have separate admission fees, so check their websites or call ahead. Special tips: If you’re traversing the battlefields, keep an eye on the weather and bring appropriate gear (especially sunblock). Good walking shoes are a must. The main paths through the park are paved and accessible by car. Contact the park service for help with further accessibility requirements. Where to eat: Check out Garryowen Irish Pub at 126 Chambersburg St. for Irish fare and beer. Hunt’s Battlefield Fries at 61 Steinwehr Ave. has sandwiches and, you guessed it, French fries, and a unique decor.If you have a sweet tooth, make sure to stop by Kilwin’s Chocolate Fudge and Ice Cream at 37 Steinwehr Ave. Take some chocolate home. Fun Facts: There’s a superstition at the Jennie Wade House (the site of the only civilian killed during the battle). If you’re single, you can poke your ring finger through the bullet hole in the kitchen door and be married within the year.A nice spot to take in a sunset is on Little Round Top. Drive to the top and find a place to hang out on the the hill. You can find the Lincoln Cemetery off Long Lane, between Lincoln Lane and Breckenridge Street. The cemetery gates are now locked to the public. Too much traffic in recent years meant sensitive graves would sink and headstones would topple or break. But if you’re lucky, Mrs. Myers, 84, will see you by the fence and tell you about those inside — including that Mag Palm’s granddaughter, Louise Palm Stanton, buried inside, once was her Sunday School teacher. “They fought for freedom and the preservation of the United States, but were denied burial in a National Cemetery where Abraham Lincoln stood on Nov. 19, 1863, and gave his Gettysburg Address,” Mrs. Myers wrote in her book “Segregated in Death, Gettysburg’s Lincoln Cemetery.” Proceeds from the book go toward preserving the graveyard. “The veterans of the United States Colored Troops… although freed from the chains and bonds of slavery, never knew the social freedom of equality in life, or death,” she said. The Lincoln or Goodwill Cemetery, established by the Society of the Sons of Goodwill, “was and still is located in what is commonly called the black neighborhood,” Mrs. Myers said. After the war, Watts returned to Gettysburg and became the principal teacher for the town’s “colored school” for several years in various places throughout town. In 1884, a school would be built on Franklin Avenue, not far from the graveyard. The building no longer exists but an historical marker is at the site. Another resident at the Lincoln Cemetery is Abraham Brian (also spelled Bryan), whose story takes you to the battlefield. When Confederate soldiers invaded in July 1863, Abraham Brian left his farm on Cemetery Hill with his wife Elizabeth and their two teenaged sons . It was good thinking — the Brian property was in the thick of the fighting, particularly during Pickett’s Charge on the last day of the battle, according to the National Park Service. The Union occupied the farm and dismantled the fences, built breastworks and trampled crops. It’s no surprise that the property sustained severe damage and artillery fire. But it still withstood the carnage. The barn also served as a hospital for weeks following the battle, according to the book “Firestorm at Gettysburg: Civilian Voices” by Jim Slade and John Alexander. After the battle, the family returned to what was left of their home and began rebuilding. Brian’s property was not the only property to be occupied. Nearby farms served as headquarters for generals, as well as makeshift hospitals. Both Union and Confederate troops commandeered homes in town, demanding food, clothes and medical care. In some cases, private homes were used by sharpshooters. Once fighting subsided, the town was presented with the grisly undertaking of burying the dead. Many were put in temporary graves. They were later disinterring and moved into the National Cemetery once it was established. Basil Biggs, one of the founding Sons of Goodwill, had a reputation for working with the Underground Railroad. He also was a veterinarian in town, according to local historian Betty Dorsey Myers. Biggs was hired to take care of the dead. He rallied other members of the black community to help in the task. While fighting was intense in the town and nearby farms and fields, there was only one civilian killed during the three-day battle. 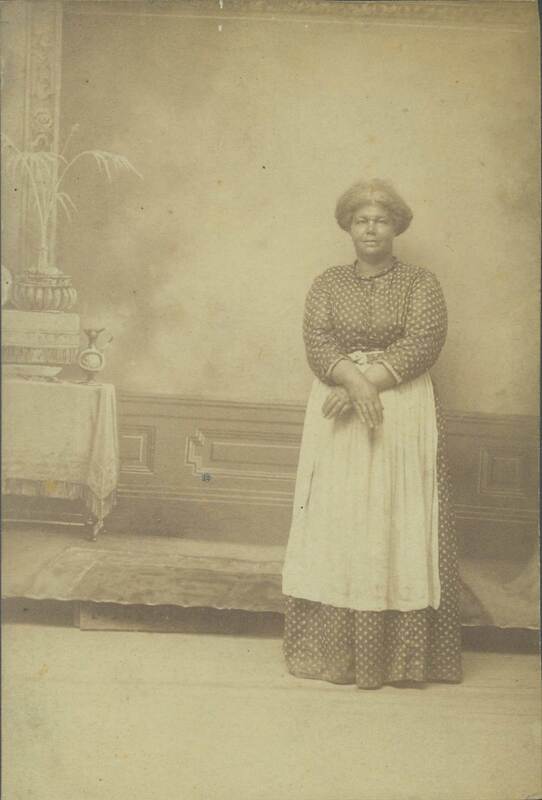 Mary Virginia Wade — better known as Jennie Wade — was 20 and living with her sister, Georgiana McClellan, on Baltimore Street. A newspaper account in “Firestorm at Gettysburg,” says Wade carried water to Union troops around the house. On the morning of July 3, Wade was in the kitchen, preparing to bake bread, when a bullet crashed through the wooden door. The bullet struck her in the head, killing her instantly. The house on Baltimore Street is now a museum. In front of it is a statue of Wade holding a loaf of bread and a jug of water. Stephanie Ritenbaugh: sritenbaugh@post-gazette.com or 412-263-4910.